Formulating rational personnel management policies for all increase efficiency in Government and ensure proper career planning for officers. Laying down procedures, standards and norms in recruitment, regulation of service conditions, postings, transfers, deputation and pension matters and providing advice to Departments on all matters related to public service. Enhancing transparency and accountability in Government and formulating appropriate public grievance redressal policies. Codification and simplification of procedures. Combating corruption through preventive and punitive vigilance. Ensuring fairness in recruitments and promotion by adherence to merit and established procedures. Providing quality training and motivation to Government employees by promoting modernization and enhancing skills. Maintenance to Government Records in a systematic manner. 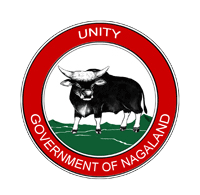 All Departments of the Government of Nagaland in respect of personnel and service issues. Citizens with grievances against public institutions and services. IAS, NCS and NSS officers. Policy support and advice to all Departments of the Government of Nagaland on issues of recruitment, appointments, training, retirement benefits, service rules and other matters relating to personnel management and conditions of service. Cadre management of IAS, NCS and NSS and Ex-Cadre Officers through the Civil Service Board (CSB). Implementing and providing advice on administrative reforms pertaining to good governance practices, interpretation and simplification of rules and procedures, redressal of public grievances, record keeping and improvements in organizational structures. Policy support to the Nagaland Public Service Commission on matters relating to recruitment, departmental promotions, disciplinary action, reservation in services and other related matters. Conducting training programmes for employees at the Administrative Training Institute and institutions outside the State. Investigating cases of corruption and fraudulent practices and taking departmental and criminal action against the offenders through the Vigilance Commission and police. The work in the Department of Personnel & Administrative Reforms organized in the following Branches. All matters relating to IAS/NCS/NSS. All matters relating to NPSC. All matters relating to appointment of Chairman & Members of NPSC. Matters relating to Manpower Rationalization Committee (MRC). Training of gazetted officers and non-gazetted staff. The Nagaland Rules of Executive Business. Matters relating to Work-Charged and Casual Employees Commission. Reservation for Backward Tribes including Nagaland Backward Tribes Commission. Personal Information Management System (PIMS). Organisation & Methods (O&M) Branch. Advice to other Departments on matters relating to public services. Relaxation of any Service Rules of various Departments. Relaxation of any general service conditions. Staff Inspection Unit (SIU) and Internal Works Study Unit (IWSU). Matters relating to State Vigilance Commission. All matters relating to eradication of corruption. All matters relating to disciplinary cases against IAS, NCS and NSS Officers. General advice to all Departments in processing of departmental inquiries. Government Servant Conduct Rules and Discipline and Appeal Rules. Maintenance of ACRs/APARs of IAS/NCS/NSS officers. Vigilance clearance in respect of all government servants due for promotion, confirmation of all government servants. Inquiry relating to complaints of corruption against government servants received by the Government. Maintenance of Secretariat and State records. Evolution of norms and training in record. Keeping. Giving clearance of invalid pension/clarification & objection by the Accountant General office. We are also the Nodal Administrative Department for the following organizations. The NPSC is a Constitutional body set under Article 315 of the Constitution of India in 1965, to conduct examinations for appointment to the service of the State and regulate all matters relating to recruitment and conditions of service in relation to candidates and employees coming under its purview. The Administrative Training Institute, Nagaland is the apex Training Institute in the State. It was established in 1972 with the objective of enhancing professional knowledge and skills needed for better performance of individuals and organizations and to promote better understanding of professional requirements and bringing about the right attitudinal orientation for all Government servants to ensure effective and efficient functioning of the Government machinery in all spheres of Governance. The Mission of the Institute is to help the Government Departments tackle their challenging and complex public administration issues with a view to make continuous improvement in the performance of their employees. Set up under a Resolution of the Government in 1976, the Vigilance Commission is the nodal agency of the Government of fight corruption in Government by investigating cases, initiating criminal and Departmental action against delinquent employees and establishing measures to prevent corruption. The Nagaland Information Commission was constituted under section 15(1), (2) & (3) of the Right to Information Act, 2005, on 14th March, 2006. It is a statutory body duly constituted through an Act of Parliament (Central Act No.22 of 2005) with the aim, vision and mission to secure access of information to the citizens under the Right to Information, to make the citizens aware of their right and to promote transparency and accountability in the working of every public authority. Nagaland Commission for Backward Tribes. Nagaland Backward Tribes Commission will provide an effective mechanism for safeguarding the rights of backward tribes of the State with regard to implementation of policy of reservation of posts, with special focus on the six backward tribes (Chang, Khiamniungan, Konyak, Phom, Sangtam and Yimchungru) belonging to Longleng, Kiphire, Mon and Tuensang Districts, and study and make recommendations on developmental, educational, employment and health aspects pertaining to these backward tribes. Assistant Public Information Officers of P&AR Department. Shri Sashimongba, Joint Secretary,Pension Cell. Shri Sehkolun, Deputy Secretary,Vigilance Branch. Shri Rongsenlemba Jamir, O&M Officer,O&M Branch & Personnel ‘B’ Branch. Shri Nchumbemo Lotha, Deputy Secretary,AR Branch. Smti Ayangla Longchari, Under Secretary,Personnel ‘A’ Branch. Shri Neikeduolie, Section Officer,Personnel ‘A’ Branch. Smti Lanurenla Longchar, Section Officer AR Branch. Smti Senu, Section Officer, Vigilance Branch. Shri Vekho Puro, Section Officer, Personnel ‘B’ Branch. Shri Kezin Newmai, Section Officer, O&M Branch. Shri Rajusetuo Robert, Assistant Pension Analyst, Pension Cell. References made to us should conform with the existing policies and instructions of the Government; it is the responsibility of the referring Department itself to examine this aspect and turn down cases which violate or deviate from existing policies and rules. Before referring g a case to us, it should be carefully analyzed by the client Department, ensure it is complete in all respects and the views and comments of the Department clearly and explicitly stated. IAS/NCS/NSS Officers should ensure that their service records are complete in all respects and the information sought by us from time to time for updating should be promptly and accurately furnished. Officers of the IAS/NCS/NSS who are nearing retirement should initiate action on their pension papers well in advance so that we can process their cases in time. Citizens having public grievance should State their grievances clearly and complaints of any nature against Government employees should give full details well as full particulars of the complainant. While it is our constant endeavour to assist our clients and make our functioning more efficient, transparent and responsive, we admittedly have many limitations and short comings. To improve and promote greater service delivery in every field and simplify transactions between government and the citizens. Therefore, in order to help us improve our performance and meet your expectations, constructive ideas and suggestions to make our Department more efficient, professional and helpful for our clients shall be gratefully received.